The Good Kind of Loss Celebrating 2 years of healthier living - largely thanks to one company. PLEASE NOTE: I am not a doctor, nutritionist, dietitian, physical therapist, etc. I am not a spokesperson of this product and I am not trying to sell you anything. I’m not making any money for writing this. I’m just some dude on the internet. Always consult your doctor before making any big lifestyle changes like this, etc. I just wanted to share my story. Today marks two consecutive years of counting my calories and logging my food into MyFitnessPal. A lot has happened since then. I have moved once (soon to be twice), got a cat with Andrea and experienced the highest highs and lowest lows of pet ownership at an unfortunately very accelerated rate, got two more cats afterwards who have been doing awesome, lost my first family dog who I had known for literally half of my life, got married, preceded by an awesome bachelor party with my best friends and followed by a wonderful honeymoon in Jamaica with the love of my life, can finally see the light at the end of the tunnel of my college career, and most recently just bought a house! (Hence the incoming second move.) Throughout all of those times including the stress, the sad days, the celebrations, etc, the one consistent factor during them all was trying to at least be mindful of what I was eating, and to not eat too much of it. I’m not really into being self-congratulatory of myself or even putting much of myself on the internet anymore, but I think that’s pretty cool. In this time, I have lost somewhere between 60-75 pounds. I unfortunately do not know exactly how much, but I am confident that it is in that range. The scale I started off with was terrible! There could be anywhere from a 10-20 pound variance every time you would step on it. Whatever. At some point, the number was way too high, whatever it was. Higher than it ever should have gotten in the first place. High enough for me to finally make some changes. One thing in particular helped me out a lot. Let me back up a little bit for context. I first heard about Soylent very early on, probably around the time of the original crowdfunding campaign, in fact. I thought it was an interesting idea, and made a mental note to remember it for later. What does that mean? The longer description is that it is a form of fairly inexpensive food that aims to conform to food science and nutrition the best of our current knowledge. The nutrition facts will probably illustrate it best. I find all of the 20%’s on the vitamins very aesthetically pleasing. So it’s just a protein shake? I mean, kind of, but not really. Maybe more like a protein shake with carbs and lipids and vitamins as well? This can make it a bit hard to explain to people, but it’s a decent comparison. You can’t really live off of just protein shakes. You need more than just protein. You can technically live off of Soylent if you wanted to, but you don’t have to. (They also legally have to say that you shouldn’t, but you totally can if you want to. I still eat plenty of “normal” food, for context.) That is one of the bigger misconceptions it has. A lot of the early coverage it received were people trying to live off of nothing but it for 30 days, etc. I think that this ended up giving it a bit of a misconception that it is a particular form of dieting or it has to be “all or nothing”, etc. But it’s not. It’s just food. I think the simplicity of the reality of it makes it harder for some people to wrap their heads around, ironically. “It’s just food.” Really is the long and short of it. It isn’t sold as some miracle weight loss product, it isn’t the secret answer to life or the key to unlock the mind and body’s full potential, it isn’t going to make your hair grow back , etc. “If it isn’t some sort of weight loss product, how did you lose all of that weight on it?” The main factor here is that it made it really easy for me to count calories. A bottle is always 400 calories, and the powder can be however much or however little you want it to be, as long as you measure it correctly. That’s really it. Weight loss or gain is mainly down to your calorie consumption vs how many calories you burn. Eat less than you burn on average every day and you’ll lose weight. I hate to say “It’s that easy!” Because weight loss can be a long, frustrating, and stressful process, but that really is it at its core. You just need a lot of willpower to stay consistent. I tried to stick with around 1600 calories per day. It was never a firm limit, but it worked well enough as a guideline. Some days I might go under, other days I might go over. It usually averaged out fairly close to that goal per week, at least. I have a relatively sedentary lifestyle right now, and moving forward I would like to change that if possible. I have a full-time desk job, and I take 15 credit hours at school on top of that. It makes it difficult to go to the gym a lot of the time, though when I am off for summer I try to go to the gym or take long walks when possible. I enjoy those things a lot when I am able, though that’s another big factor here: I was able to lose the majority of that weight without exercising. Now, I’m not saying that you shouldn’t exercise. You totally should, and you’ll feel great doing it. I just wanted to make it clear that you can absolutely lose weight without having to live at the gym. Physical activity is just another tool in the arsenal. It’s a great way to increase your calorie burn, but your intake is still the most important factor. Whichever way you want to go about it, just be sensible. Like most things in life, really. Find what works best for you and do it. I promise you can. Back to Soylent, what finally pushed me to try it? Well, besides the weight stuff, night classes were pushing me pretty hard. At the time, I got out of work at 5, and had to get to school by 6. My college takes attendance, which I always thought was just absurd. The instructor I had in particularly REALLY didn’t like us arriving late at all, and I basically just didn’t have time to stop somewhere for food. This meant that I would eat lunch at noon, and then have to sit in class potentially as late as about 10 PM. After a few classes where I would start to zone out really hard from hunger and even got called out on it once or twice (also probably not the best state to be in driving home either), I decided something needed to change. Yes, I’m aware that I had plenty of other options that I could have tried, like bringing food from home and actually preparing meals like a real adult. I used to go and buy lunch every single day while at work, whether that means party store food, fast food, etc. Not only was this unhealthy, but it got to be pretty expensive too. It was probably at least $50 a week just eating out for lunch alone. It adds up quickly. 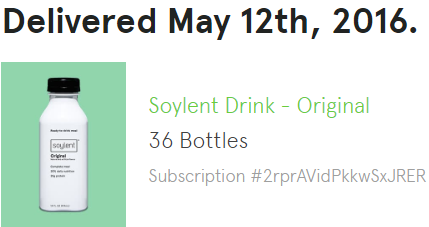 But my interest in Soylent happened to return to me at an opportune time, so I figured I would give it a shot. It was an easy way to count calories, consume something healthy, and do it for significantly cheaper than I was previously spending on food. And it was easy to just grab a bottle on the way out the door to school and drink it on the way. It turned out to be just what I needed at the time! 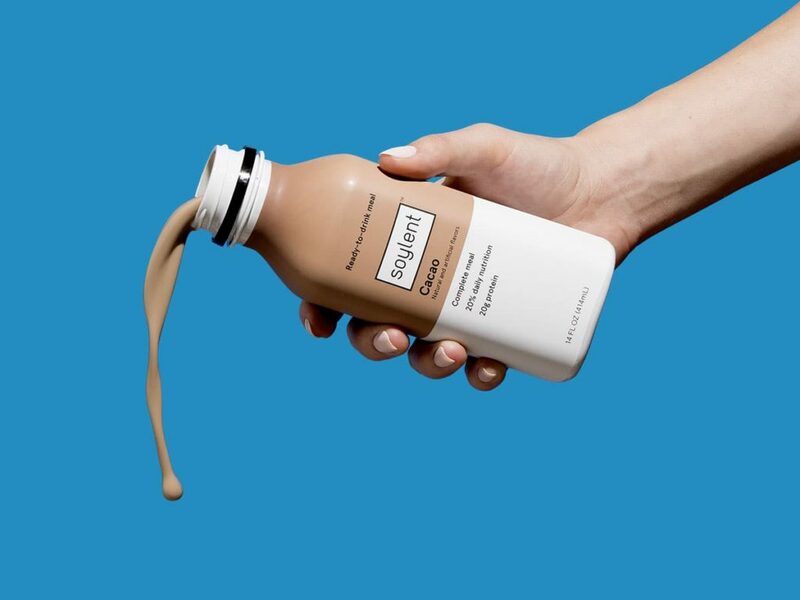 Soylent originally launched in powdered form, and has seen many iterations since its launch. You can essentially think of it as Silicon Valley software development, but for food. Each version would come with update notes, and a new version number, starting with 1.0 and moving to 1.1, 1.2, etc. The formula was also open-source, meaning that you could make your own at home using the same ingredients and ratios if you wanted to, and a sizable community ended up releasing their own versions of the formula for different purposes, such as flavors, nutrition ratios, dietary needs, etc. Being the big nerd that I am, the mix of technology and science was really attractive to me. By the time I was ready to try the product, they had recently introduced it in a pre-bottled drink form, making it even easier to grab and go. No weighing out powder or keeping a pitcher in the fridge, etc. Just bottles in a case, about $2.50 each for 400 calories. Refrigerate them or not. Grab and go. So that’s where I started with it. I bought 3 cases of the drink, meaning 36 bottles. Sight unseen, taste untasted. I was expecting it to taste weird at best, bad at worst. It actually wasn’t so bad! To me, the original flavor of the drink tastes a lot like the milk that is left over after a bowl of cheerios. For a health product, it was a lot better than I expected. Later on, I tried the powder and did not like it as much initially, though it has grown on me a lot since then, especially considering the additional cost savings that come along with it. It is even more neutral than the drink version, but that also makes it a great canvas to customize it by adding things to it. It’s a great healthy smoothie base as well! The product has grown a ton in these short two years. Starting out, there was just the original powder and the original drink form factors. Since then, I think the powder has seen about 5 updates to the formula, as well as a recently launched chocolate flavor. (It’s awesome by the way, it pretty much just tastes like hot cocoa or chocolate milk, depending on who you ask.) The pre-bottled variety has seen the addition of 5 new flavors since then, with one of them since being discontinued as well as a new strawberry flavor on the way soon. Notably, they launched some versions with caffeine, making it an awesome option for breakfast, being the office drone that I am. They have a surprising amount of caffeine. It’s nice. They went from only selling directly through their website, to expanding into Amazon, 7-11*, and most recently Wal-Mart*! (In certain states, they may not be here yet). It has been really cool to see them expand their line and availability in such a relatively short amount of time, considering how comparatively limited they initially were when I started. 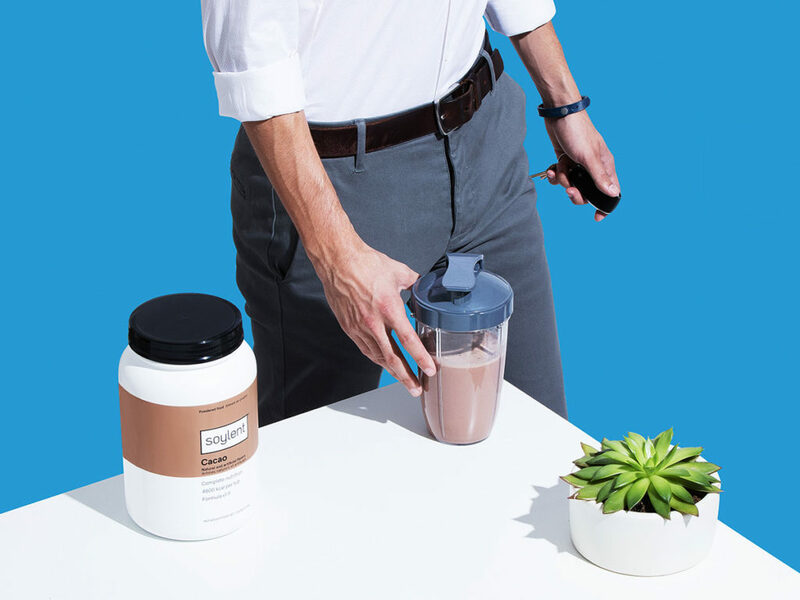 Soylent has essentially invented a whole new category of food, and many other companies have followed, offering their own takes on the concept. One of the more notable alternatives is by a company called Jimmy Joy (previously Joylent, which I prefer as a name, but whatever). They also sell powdered food with a similar concept, and it is even cheaper than Soylent. Theirs is oat-based, so the texture is less smooth than Soylent, and most of their flavors use dried fruit powder for the flavor. In some ways it’s kind of like a fruit smoothie with oats in it. It’s good, as long as you’re alright with some texture. I love extra pulp orange juice, so take that as you will. They also sell complete food in the form of solid food bars. Big, 400 calorie, 20% of your daily needs solid food bars. They’re also pretty good. The category can be more than just liquid food! Another product that I have enjoyed a lot is called Schmilk, sold by Super Body Fuel. I think that they may actually be the best-tasting one that I have tried, probably in large part thanks to the fact that it is mixed using milk rather than water. However, we do not consistently have milk in the house, and that can make it less convenient than just adding water, of course. Recently, a product called Vite Ramen has been announced. It aims to apply the complete food concept to ramen, a stereotypically very unhealthy type of food. If they can pull it off and still have it taste good, I think they will do extremely well! It has been really cool to see the genre evolve into more traditional categories of food, and I look forward to see how far the limits can be stretched. Basically, I feel great! Again, this is just intended to be a healthy source of food, not some miracle product. As someone who prior to this had a pretty unhealthy, typical American diet, I’m sure this is similar to how one feels while eating any other sort of healthy food on a regular basis. I feel a lot better than I did before I ate healthy, both physically and mentally. I also experienced some pretty awful stomach issues earlier in my life, particularly throughout high school. A combination of losing weight, eating healthier, and eating something as mild as this is has helped me significantly in that regard. That alone has been an incredible quality of life improvement for me. It has had some other interesting “side effects” of sorts as well. I find that I do not enjoy “bad” food nearly as much as I used to anymore. Sometimes it’s a feeling of guilt to some extent, other times I’ll hype something up in my head all day, and then when I actually eat it I just go “Eh, that was alright I guess.” That’s not to say that I still don’t enjoy more traditional types of food, I absolutely still do. But I do think that’s a side effect of the other good habits that I have established, and I’m proud of that! Having this food within reach at work at all times helps me make good decisions as well. It ends up being more work to seek out other types of food, which helps keep those temptations at bay! I find that it is surprisingly filling as well, much more than people seem to expect. I find that I can usually go about 4 or 5 hours per serving before I get hungry again, though the hunger does seem to return more suddenly and stronger than it does on other types of food. Considering how easy it is to consume, it isn’t too much of a problem. It being liquid also means that you can consume it as quickly or as slowly as you would like, which can be cool. Sometimes I’ll stretch out a coffee one in the morning for an hour or two, or if I just need something before class I can drink it in a few minutes and be good to go. It’s all flexible in a variety of ways, and that happens to work well for my current lifestyle. I consume it regularly for breakfast and lunch on weekdays, but anything goes on weeknights and weekends. The money savings are a big deal to me. That’s about $3-5 a day for me between those two meals in total. A big improvement compared to the $10+ I was spending just on lunch alone! The shift away from the mindset that every meal needs to be pure sensory overload for the tastebuds has led to me actually enjoying more traditional types of food as well, contrary to what I said earlier. Not every meal needs to be a steak feast, but it makes the steak stand out much more on those special occasions. It’s pretty cool. Speaking of steak, it’s also a vegan product. (Which I mean, it would probably be kind of weird if it wasn’t, unless it used whey, I guess.) I could never go full vegan or vegetarian or anything like that, but I did go from eating meat as part of probably every single meal, to going some days without eating it at all! I never thought I would be able to say that. All of this stuff has me really excited about the future of health and food science, and I don’t see any sort of end in sight for myself, personally. Even if these companies and this category of products were to disappear tomorrow, I think that I have developed a series of healthy habits that I expect to carry with me for the rest of my time, and for that I owe them endless thanks. I still have more weight that I would like to lose in the meantime, but that will all come in time. It has been a very rewarding journey, to say the least! Above all, you just need to find what works for yourself and stick to it. Maybe you have read all of this while shaking your head and thinking I’m crazy. That’s fine too! This is just what worked for me. If you’re looking to make a change, there’s no day like the present! I started this post off saying that I am not trying to sell you anything, and I can promise you that I am not. However, if this has piqued your curiosity, feel free to use my referral link to get half off of one case of any flavor of the drink. I get absolutely no benefit out of this and I never will. Seriously. I promise.